This is the "Event Detail" view, showing all available information for this event. If registration is required or recommended, click the 'Sign Up' button to start the process. If the event has passed, click the "Event Report" button to read a report and view photos that were uploaded. No-host lunch before the tour at 11:30 AM at UChicago Baker Dining Commons at 5500 S. University Avenue. 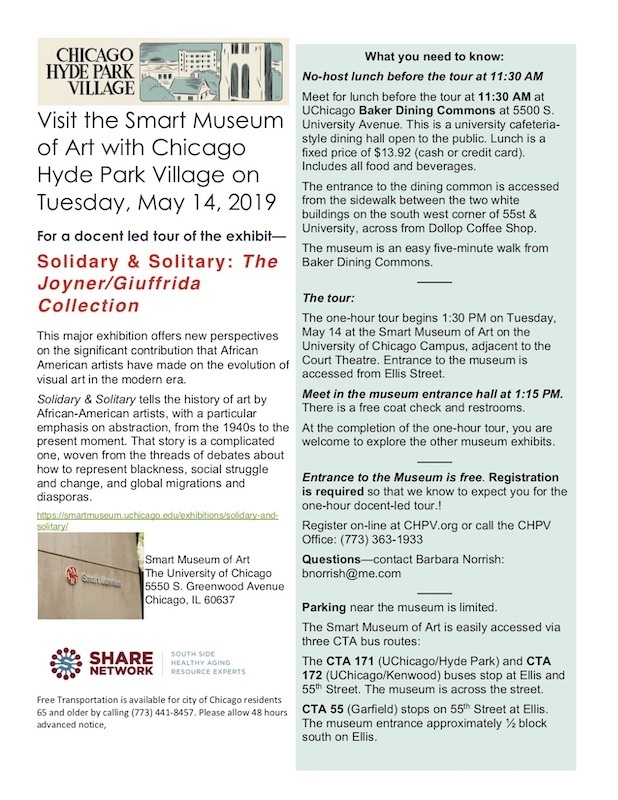 The one-hour tour begins 1:30 PM on Tuesday, May 14 at the Smart Museum of Art on the University of Chicago Campus. Meet in the museum entrance hall at 1:15 PM.